What makes a kid happy these days? Plastic and stuffed toys? A Big No. A mobile phone maybe? Affirmative. This doesn’t mean that he’s a techie. This means that he has been influenced by the present generation’s environment. But, if your child does things on basic tech that other kids didn’t even think about at the same age, yes, he’s a techie. Here’s an exaggerated video of what a new-born’s addiction to technology looks like. 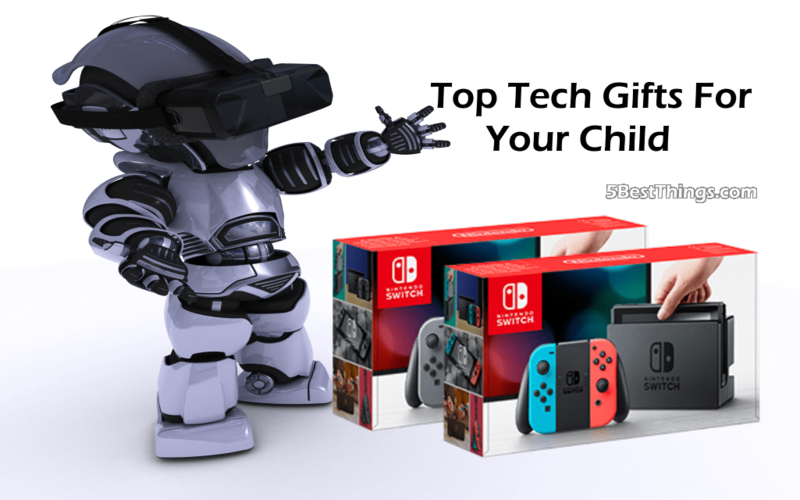 Well, if your child really is interested in new techs, there are certain fantabulous and trendy gadgets out there that’ll help you present them the ever-pleasing gifts of their lifetime. We’ll make it easy for you with a gathered list of some practically useful and affordable products that wouldn’t cost you a mint. The seventh major console developed by Nintendo, has revolutionised the entertainment tech industry. It has all the latest specifications which a gamer desires, to play all the newly-developed games with the advantage of portability. 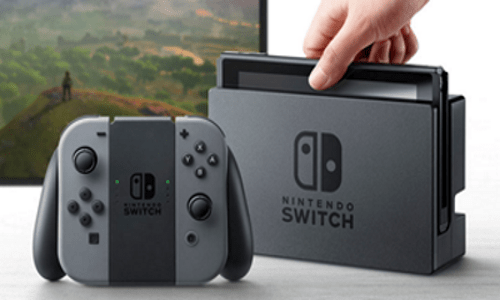 Nintendo Switch gaming platform ensuring high performance and lower power consumption is literally a blessing. Your child would actually be able to operate it with ease without the requirement of expert knowledge. CPU/GPU placed is a NVIDIA customised Tegra Processor with an addition of 32 GB Ram including all the new features like Bluetooth, Wireless Lan and can also be linked with televisions. Your children would also be able to download free games and productive applications for free from the Nintendo store, so it won’t put an additional burden on your pocket. Although this console isn’t really cheap, ranging around 30-40k depending upon the variants, we have some comparatively reasonable products in the list. Definitely not expensive like the other Smart Watches. It is the perfect gift for your young lad who is fond of taking pictures and capturing videos. This durable smartwatch also lets you apply tons of filters, frames and effects to the clicked photos. It includes motion sensors and five inbuilt games keeping company to educational and learning programs. With an addition to these appealing features, this watch comes in vibrant colours to excite children. Moreover, voice recorder, alarm and a timer are already equipped in this watch. 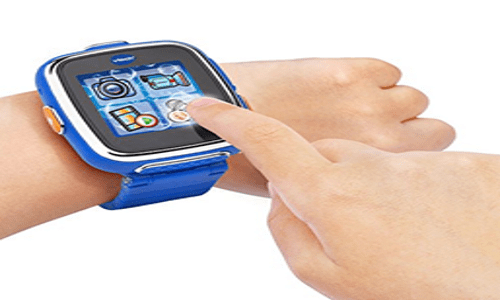 Like most of the other smart watches, it is also splash and sweat resistant so your child wouldn’t be able to mess that watch up in case he has a demand for new one. Lucky you. This smartwatch costs you between 5-15k, again depending upon the variant you choose from the available. One of the most bought tech product for the kids and teens has still maintained its pace of development and importance in the society. E-Books has been one of the most fascinating inventions for the children these days who are interested in reading novels and stories. Currently holding up to 1400 books, this online library provides you with high comfort due to the non-involvement of bulky books. Most importantly, no hindrance is acknowledged while reading at night due to the software in this kindle book allowing your kids to read with a night mode without causing harm to their sensitive eyes. 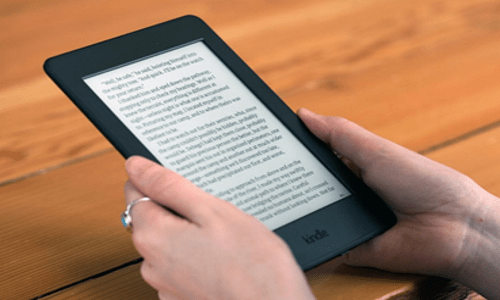 There are many models of kindle available differing in display, sensors and offers and is likely to grab 6-17k from your pocket. Ever experienced a virtual-reality? If not, I must tell you this one thing- this tech works like a charm. 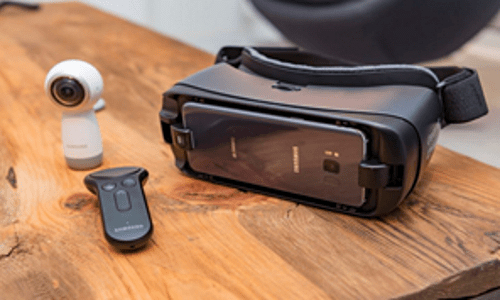 Firstly, this Gear VR is produced by Samsung, implying the assurance of quality and standard with a strong built. Secondly, it’s a completely portable and wireless virtual reality machine, attached touchpad with dedicated home and back buttons. The additional features include proximity, gyro meter and accelerometer sensor. Moreover, you get to live in the 3-D world at home. Exceptionally amazing. Being listed in the top 5 virtual-reality glasses, this VR headset has a precise head tracking with a wide field of view. It would really be a delightful journey for your children once they see a through a 3D window in games, videos, and images through this gear. There are two variants in this headset. One is with controller and the other without it. There’s a noticeable difference in their prices. A worthy VR headset costs you between 5-17k depending upon the models available. Crowned as 2017 Toy of the Year. The perfect toy for your child, as a personalised tool to decorate plastic items, drawing on a paper or in the air. Yes, Air! It is also proved useful for repairing household plastic and 3D prints, with the quality of being fully compatible with ABS and PLA Filament. This 3-D doodler is the perfect companion to your child for turning a boring day to a joyful one. Well, how can you draw 3-D objects in mid-air? Watch this if you don’t believe me. 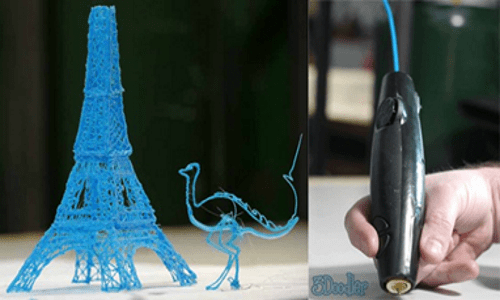 A basic 3Doodler 3D Printing pen can cost you around 3k. 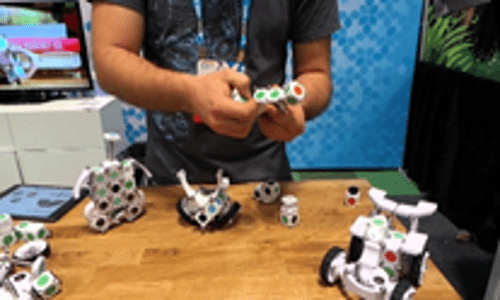 Does your kid like to experiment with robots? If yes, this is the right choice for your child. This kit contains 16 MOSS blocks and 56 Carbon Steel Spheres that can be combined to create hundreds and hundreds of robots. Furthermore, this tech helps enhance the imagining capabilities of your child by creating a variety of robotic designs. The kit also contains a Micro-USB Charging cable making it ever-lasting without the involvement of any hazardous material. This tech is best for the kids aged between 5 years to 15 years who can use it easily. This one costs you somewhere around 5k. Isn’t it wonderful how some technologies can provide you with an extremely astonishing utility. Anyways, the point is that any of these gadgets are definitely going to satisfy and amaze your kid depending upon their area of interest. These are absolutely the most relevant and affordable techs between 5-30k that you can purchase for your little techie. Stay tuned for more such updates about the latest technologies.